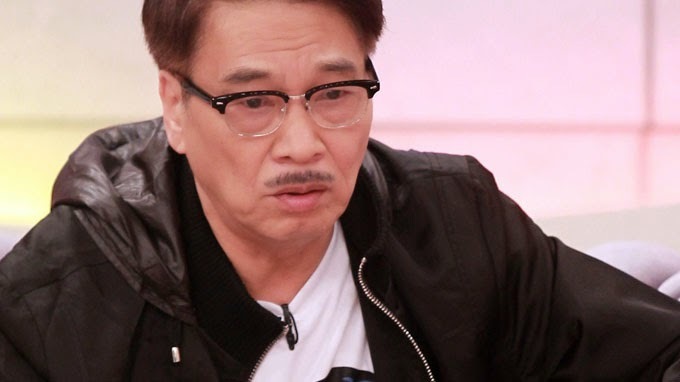 The 63-years old Hong Kong Actor Ng Man-Tat(吳孟達) appeared at a show to promote his new movie, "Time Is Money(十萬夥急)". Past April, there was a rumor that he was infected with a virus which led to congestive heart failure. With his health showing warning signs, he decided to stop smoking and drinking. Since eating more healthy and taking care of his body, his healthy has improved drastically. Still, he commented that he won't be accepting any new jobs in the future and will be relying on his savings. According to Apple Daily, his doctor scared him twice in regards to his health. 15 years ago, his doctor diagnosed him with high blood sugar which may require him to amputate his limbs. At that time, he wasn't too concerned and continued to eat uncontrollably. Finally, he heard a story about a makeup artist's husband which needed to amputate his legs due to diabetes. Since then, he had cut down his food intake by half and stopped eating sugar. The second scare was when he developed congestive heart failure due to a viral infection. His doctor told him that his heart rhythm was irregular and needed to stay in the Intensive Care Unit (ICU) room for monitor. Inside the ICU room, he realized that he was different from all the other patients in the room. He said, “I am still awake and alert. I am not dying like the rest of the patients in the room.” He quickly requested to switch to an independent room.